The riveting trio of Chris Speed, Dave King, and Chris Tordini is a showcase for three New York veterans at the peak of their form. They deploy their considerable chops judiciously, creating a unit where Speed’s tenor sax is in pinpoint balance with Tordini’s kneading bass and the shifting, propulsive percussion of King, best known from the Bad Plus trio. As heard on two CD releases, Really OK in 2014 and Platinum on Tap in 2017, the Speed/King/Tordini trio turns far more to earlier jazz styles than Speed is often thought to do. And yet, the band’s sound is thoroughly of-the-moment thanks to sustained inventiveness and the dynamics among the three players. Speed explores his tenor sax’s low-to-mid range of acoustic power, but the high end of its expressiveness. In grainy, somewhat plangent, serpentine lines punctuated by light staccato gusts, Speed’s contributions create embracing invitations to his listeners’ attention—as gifts offered rather than provocations imposed. The effect is most winning. Playing generally mid-volume, Speed draws listeners to the intricacies of statements that, from a less-evolved soloist and composer, might appear oddly underdetermined. Speed and his vast and varied talents are, of course, well known to Seattle jazz audiences. He has visited often, with many different combinations of emerging-generation jazz leaders. Indeed, he first came to attention here while growing up on the Eastside. There he met later-frequent collaborators, drummer Jim Black and saxophonist Andrew D’Angelo, with whom he and guitarist Kurt Rosenwinkel would form Human Feel in Boston in the late 1980s. That quartet recorded a series of acclaimed, fresh albums beginning in 1992, when Speed moved to New York, two years after graduating from New England Conservatory. In Manhattan, Speed joined alto and baritone saxophonist Tim Berne’s fully committed and much-praised Bloodcount. (Jim Black did, too.) Like Human Feel, the quartet (sometimes quintet) balanced gamely between established jazz expectations and unleashed avant-garde gestures. It could be as sinewy or singing or muscular as it was pulsing and corpuscular. On tenor sax and clarinet, Speed would become one of the most-sought accompanists on the New York scene. He worked with the likes of trumpeter Dave Douglas, pianist Myra Melford, saxophonist John Zorn, and bassist Mark Dresser. He maintained ties to his Seattle roots in the band Pachora, which included Jim Black and another Seattle-reared musician, guitarist Brad Shepik, a graduate of Cornish College. The popular quartet, with Icelandic bassist Skúli Sverrisson, epitomized a mid-nineties to mid-noughties fascination on the New York scene with Eastern European strains. All those associations brought Speed often to Seattle, where his appearances have comprised a sort of highlight reel of his impressive progression. It is perhaps the “shadowy moods” that are most prominent in the Speed/King/Tordini trio. In fact, Speed’s development of a yearning, searching, gently proferred style has been long coming, including in a series of collaborations that have drawn less attention to him than his signature bands. You hear it, for example, in his work with the innovative chamber-jazz group, John Hollenbeck’s Claudia Quintet. You can also hear it on Speed’s duo recording Ruins (2014) with Italian drummer Zeno de Rossi, or on Lamaçal (2013), where he sat in with Portuguese trumpeter Susana Santos Silva’s trio, Lama. But you can also go back and hear it emerging on his 1999 quartet album with trumpeter Cuong Vu, Deviantics, even when the album is at its most up tempo and up beat. It has something of the worshipful saint John Coltrane and also of Albert Ayler in quieter moments of his uttering in tongues. Certainly Speed quests into that sort of expressive territory. Speed can count on robust uplift in the Speed/King/Tordini trio. Since 2000, as the drummer of Bad Plus, Dave King has been an unlikely phenomenon in jazz: something of a rock star. He’s solidified that standing beyond the Bad Plus, too, in bands almost too many to tally—with Bill Frisell, John Zorn, Tim Berne, Craig Taborn, not to forget his own Dave King Trucking Co. (with Chris Speed), and with multiple other units beyond jazz. Thanks to his invention, flair, and command, King is one of the busiest players in New York jazz circles. Chris Tordini is rapidly becoming another. He has toured and recorded in Claudia Quintet and others bands with the likes of saxophonists Greg Osby, Steve Lehman, and Andrew D’Angelo, and drummers Ari Hoenig, Jim Black, and Tyshawn Sorey. His playing is “muscular, yet sympathetic,” as Audiophile Audition aptly described it, with richly hued timbre, measured power, and ever-supportive invention. 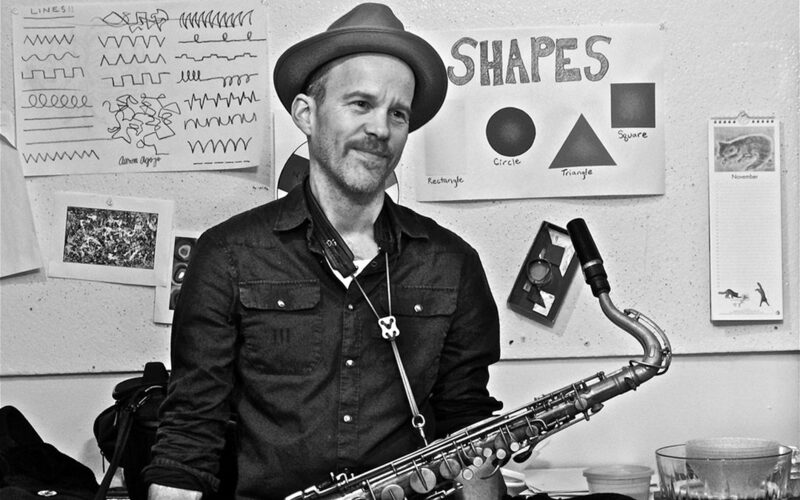 Tickets for Chris Speed Trio are $18 adult, $16 Earshot members and senior citizens, $10 students and military and are available at earshot.org.